PITTSBURGH – John Updike couldn’t write this any better. The Patriots have had a much more legendary season than Ted Williams’ last swing as a major league baseball player. You can take all the beauty of prose and aesthetics of the moment, and you still will never match the still-developing tale of the 2001 Patriots. What was “feel good” has now transcended into “legend”, in every way possible. What with all that transpired on the Heinz Field playing surface on Sunday, the one image Patriot Nation will never forget was the man who was standing in charge of the huddle as time ran out in the ball game. The team’s definitive Purple Heart winner, Drew Bledsoe, was practically crying as he took the three kneel downs that officially punched the Patriots’ tickets to New Orleans. Bledsoe had to come into the game late in the second quarter. Tom Brady had been cut down from behind on a questionable tackle by Lee Flowers, and limped off the field. Bledsoe came in and immediately fired a 15-yard pass to David Patten, then ran around left end on a play probably called “Mo Lewis 57 right”. In a scene shockingly similar to September 23rd, Chad Scott leveled Bledsoe with a crunching hit as he stumbled out of bounds. But this time, Bledsoe jumped up and smacked his teammates on the helmets. He then hit Patten for ten yards, then found Patten wide open in the end zone from eleven yards out. The Patriots had a 14-3 lead, Heinz Field was stunned, and the Steelers were left with their mouths hanging open in disbelief. Bledsoe was not the real hero of today. Two special teams touchdowns and two late interceptions helped seal a 24-17 Patriot victory over Pittsburgh, and a berth in Super Bowl XXXVI next weekend against the St. Louis Rams. The Patriots overcame a hostile Pittsburgh crowd, a hail of penalties, and several head-scratching officials’ calls in nailing down the third AFC title in franchise history. But just to see Bledsoe out there, taking still another sideline hit, firing the touchdown on his third pass of the contest, and with tears in his eyes as he took the final kneel downs, was the stuff that even the most gifted of authors could never think of. And to see Brady on the sidelines cheering him underscores the most important aspect of this great win by the Patriots today. The Patriots are simply the perfect team. Ordinary by themselves, the sum of the whole equals exactly what a team is supposed to be. 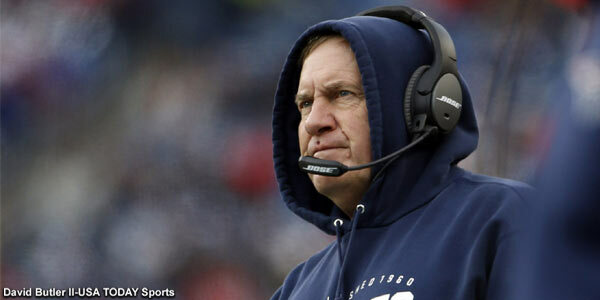 Under the leadership of Bill Belichick, who heads to his first Super Bowl as a head coach, this team’s focus and preparation completely offsets any disadvantages they may have on paper to any of the remaining playoff teams going into Sunday. How focused was this team? During the postgame interviews, Brady was asked about his condition for next week. He said “I’m okay…coach told me not to say too much about it…” Leave it to Belichick to be already coaching for the NFL championship before this one was over, and before he knew who he’d be playing for this year’s Vince. It was two years ago today that Belichick was hired as Patriot head coach. Patriot owner Bob Kraft was all smiles as he accepted his second Lamar Hunt trophy in front of next to nobody at Heinz Field. But when asked about his second-year head coach, Kraft took a jab at the Jets by calling the acquisition of Belichick “a steal”. In reality, one has to wonder how Kraft must feel now, having come full circle from the Bill Parcells exodus of 1997, and to see his still-new coach one win away from the franchise’s first NFL championship. As perfect teams go, this one did just the right things to win this game. The special teams will get the biggest props of all, and deservedly so. But the foundations of this victory had its roots in the defense, and one of the greatest run-stop jobs in recent playoff memory. Jerome Bettis finished with nine carries and eight yards. This turned out to be the real key to the Patriot win, and was a critical factor going into the contest. Bettis continued his horrid luck against the Patriots, except that the slowed-down Bettis had one of his worst games as a pro. Ted Johnson did indeed see more playing time today, and was indeed a factor in stopping The Bus. Not slow down, stop. Amos Zereoue did dent the Patriots for a touchdown run of 11 yards (both Steeler touchdowns were red zone jobs, which went against statistical tendencies of this game), but his best contributions were on pass catches and not rushes. Zereoue averaged only 2.8 yards per carry, but he caught four passes for fifty yards. Chris Fuamatu-Ma’afala had no rushes for the entire game. Kordell Stewart had the best run of the day for the Steelers, a 34-yard gallop late in the first quarter which helped set up the first Pittsburgh score, a 30-yard field goal by Kris Brown. Otherwise, Stewart showed no “slash” today, and was sacked three times by the Patriots. The Patriots achieved one of the most important goals of the game, and put themselves in position for a huge defensive day. Meanwhile, Ty Law talked the talk this week, and walked the walk all during the game. He and Otis Smith had a very effective game against the two star Steeler wideouts, Plaxico Burress and Hines Ward. Both men were held to only two catches in the first half combined, and neither man turned out to be much of a factor in the contest. Ward hauled in a 24-yard grab in the third quarter to help send the Steelers off on their first of two touchdown drives, but that was pretty much it for Ward. Burress wound up with five catches for 67 yards, Ward had six catches for 64 yards. What turned out to be the final nail in the Steeler coffin was how Stewart reacted to the final two Steeler drives of the game. 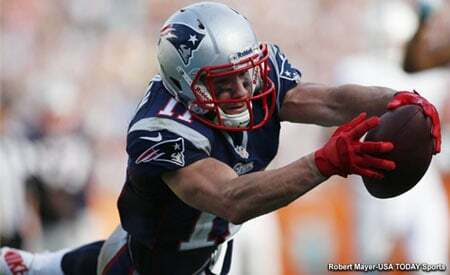 Stewart knew he had no running game, and also knew that the Patriot cornerbacks were playing his wideouts very tightly. Both drives ended in interceptions, and for the final three minutes Stewart looked like vintage 1996-98. Facing third and eight at his own 35, Stewart was pressured by the Patriot pass rush, and hurried a throw deep down the middle. Tebucky Jones deflected the pass (intended for Ward) up in the air, caught the ball, and returned it to the Steeler 34. This drive ended in a 50-yard field goal attempt by Adam Vinatieri, which was barely wide left. It was still 24-17 Patriots when Stewart got the ball back for one last chance at a tie. Faced with second and ten at his own 40, Stewart again hurried a throw deep downfield, a play similar to Jones’ pick. This time, he overthrew Burress, and the ball went right into the hands of Lawyer Milloy, and the Patriots had the ball at midfield with 2:02 left and the Steelers with only one timeout. After the two-minute warning, Antowain Smith ran off right tackle for 19 yards, and the game belonged to the men in red, white and blue. The game’s Most Valuable Player is likely to be Troy Brown, who had a hand in both special teams touchdowns. Brown, who enjoyed a better pass receiving game this week versus last week (eight catches, 121 yards), got the Patriots on the board first with a 55-yard punt return for a score in the first stanza. It was his third punt return for a touchdown this year. But the strangest play of the game came in the third quarter. The Steelers drove from their 32 to the Patriot 16 on their second drive of the second half, then lined up for a 34-yard field goal attempt by Brown. But Brandon Mitchell broke through and blocked the kick, and the ball rolled back up field. Troy Brown picked up the ball at the Patriot 40, rambled towards the end zone, then lateraled the ball to Antwon Harris at the Pittsburgh 49 just before he was to be tackled. Harris took it to the house and it was 21-3 Patriots. Special teams figured to play a role in this game, but it figured to be in the kicking game. Both field goal kickers were 1 of 2 in field goal attempts. The special teams most of the scoring, and the defense did what it had to do to keep the Steelers off balance and take them out of what they wanted to do on offense. Good thing. The Patriots were flagged for 12 penalties for 87 yards, and every offensive lineman save for Damien Woody was flagged for a false start during the game. The Steelers were flagged only three times. Even worse, referee Ed Hochuli seemed to spend all game making up for Walt Coleman’s controversial call last week with a few questionable replay review calls that went mostly against the Patriots. On three of the four reviews, the call on the field was overturned. In the second quarter, Brown made a leaping grab of a Brady pass for 19 yards at the Steeler 39, and clearly had possession of the ball as he hit the ground. Despite replays clearly showing he had possession, Hochuli overturned the call and ruled an incompletion. Then early in the second half, Stewart hit Ward for a 13-yard pass, but was blasted by Jones. Just before Ward hit the ground, the ball popped loose. Law picked up the ball and ran to the Steeler 14. But Hochuli ruled that Ward’s helmet hit the ground before the ball popped loose, and ruled him down on contact. Ironically, Stewart fumbled the ball away to New England on the very next play. Hochuli overturned another call that went for New England. Right after the Brown non-catch, Stewart hit Ward on a 34-yard sideline toss. But even though Ward cradled the ball while sliding out of bounds, Hochuli ruled that because Ward was juggling the ball on his chest, he was out of bounds and the pass was incomplete. The reversal led to a three-and-out for Pittsburgh. The one call that was not overturned went against the Patriots. Early in the fourth quarter, Fred (Jets Hate He) Coleman caught a clutch third down grab at the Steeler 20. The play was ruled an incomplete pass on the field. Despite replays clearly showing that Coleman made a good catch, Hochuli ruled that he didn’t have enough evidence to overturn the call. Vinatieri nailed a 44-yard field goal to put the Patriots back up by 7 at 24-17. We say all this because it makes all the more remarkable the win by the Patriots. With public sentiment, many of whom still in disbelief that the Patriots “got away” with a “bad call” last week, working against them, and with many of the nuances of the game going Pittsburgh’s way, the Patriots still had plenty for the win. What will be interesting this week is the fallout from Brady’s injury. Bledsoe had arguably the most memorable relief quarterback job in team history. Despite mediocre stats (10 of 21 passing for 102 yards) and an intentional grounding penalty that nearly was a trademark Bledsoe “trying to make a play” deal, you cannot say enough about the way that Bledsoe came in to take right over and finish the job. And you could make a case, though this might be a reach especially after last week, that Bledsoe’s touchdown pass to Patten was the best offensive play for the Patriots in at least the last 15 years. This may require some careful thought, but what Bledsoe did on that series might have been the biggest hero job in a season full of heroism. Kraft said it best when he cradled the Hunt Trophy, in that it is appropriate that this year’s Super Bowl features a team named the “Patriots”. Pride in the USA after September 11th is paramount. But these Patriots have fought all year long, just like their namesakes. And they did it with everyone sneering at their good luck and laughing at them for not belonging on the same field with the Steelers. Add this all up, and you get the perfect team. This perfect team is the cream of the AFC for 2001. Belichick now must go back to the drawing board and try to make this team the cream of the entire planet. The Rams await the Patriots, who were the last team to defeat the Patriots, on a Sunday night all the way back in November. It will be a daunting task, and the game will be in the element of the Rams: indoors (Superdome) and a fast artificial surface. But if anyone can beat the Rams, it will be the perfect team. A week from tonight, we’ll finally learn the conclusion of the legend of this perfect team. May the conclusion be a truly super one at that. This entry was posted in Uncategorized on January 28, 2002 by Bob George.